That soldier has been identified as Private George Herman Baker, a member of No. 3 Platoon, A Company, of the North Shore Regiment, who landed with his comrades at Juno Beach, between Courseulles and St-Aubin-sur-Mer, France on June 6, 1944. Private Baker lived through the Second World War and returned home to Liverpool, Nova Scotia where he raised a family in peacetime. He is survived by his daughter Karen McLeod, to whom the Mint was honored to present this coin in honor of her late father. 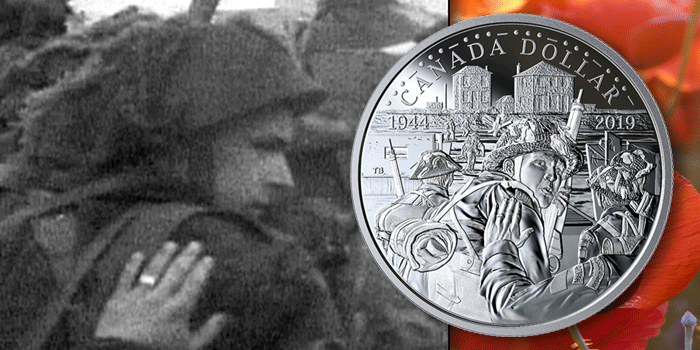 Like so many other brave Canadians on D-Day, Private Baker risked everything to help restore an Allied foothold on the Western Front and eventually win the Second World War for Canada and its allies. Private Baker’s image was adapted from several frames of archival film footage loaned to the Mint by the Juno Beach Centre in Normandy, France. The 75-year-old film provides a rare and unique perspective of the North Shore Regiment landing at the Nan Red sector of Juno Beach. In consulting a number of experts to ensure the accuracy of its coin design, the Mint learned of Private Baker’s identity thanks to the invaluable assistance of Mr. Brandon Savage, historian and teacher at Miramichi Valley High School; Dr. Marc Milner, military historian at the University of New Brunswick; amateur historian Mr. Bruce Morton of Barrie, Ontario; and North Shore Regiment Commanding Officer Lieutenant Colonel Renald Dufour. 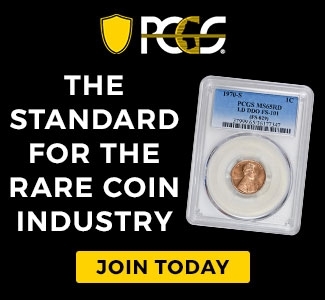 The mintage, pricing and full background information on this coin can be found on the “Shop” tab of www.mint.ca. 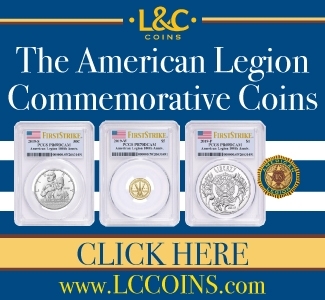 This product can be ordered directly from the Mint at 1-800-267-1871 in Canada, 1-800-268-6468 in the US, or on the Mint’s web site. 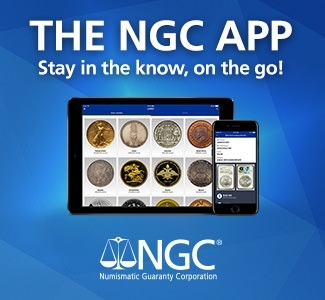 The coin is also available at the Royal Canadian Mint’s boutiques in Ottawa and Winnipeg, as well as through our global network of dealers and distributors, including participating Canada Post outlets.